Enjoying the warm and mostly dry Fall weather our team has been training well two or three days per week. 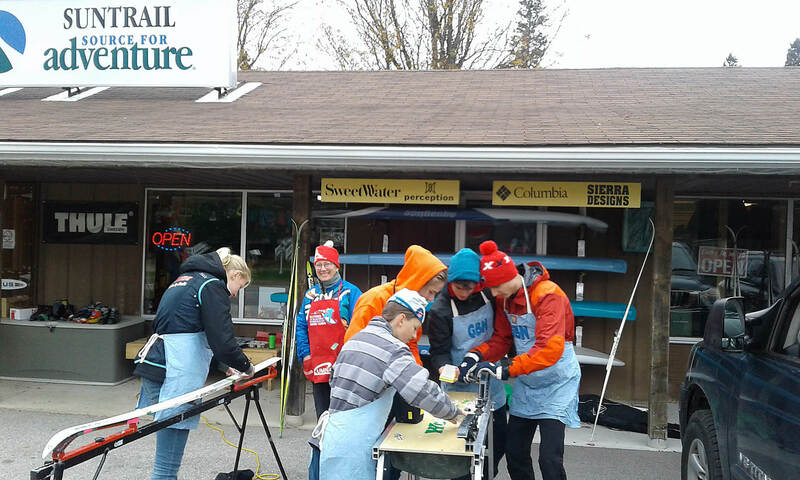 Love Your Skis went well with over 20 pairs of skis waxed in just two hours. The Ontario Race schedule is set and we are planning our training and travel with renewed vigour. The dusting of snow reassured us we will be on skis soon. If you have a Track Attack skier in your household, why not consider our enhanced Track Attack program through GBN? During December Track Attack skiers join us for (hopefully) on snow practices with sessions on correct training practices and ski preparation. We play lots of games, work hard and have alot of fun. The cost is $25. If you are interested please contact Ken Clarke (kcrclarke@gmail.com), Tim Smith (smith.tones@gmail.com) or Matt Nelson (nelsonfam@rogers.com) for details. Program would start Tuesday December 5.